Everyone is invited—ages 9 to 99! 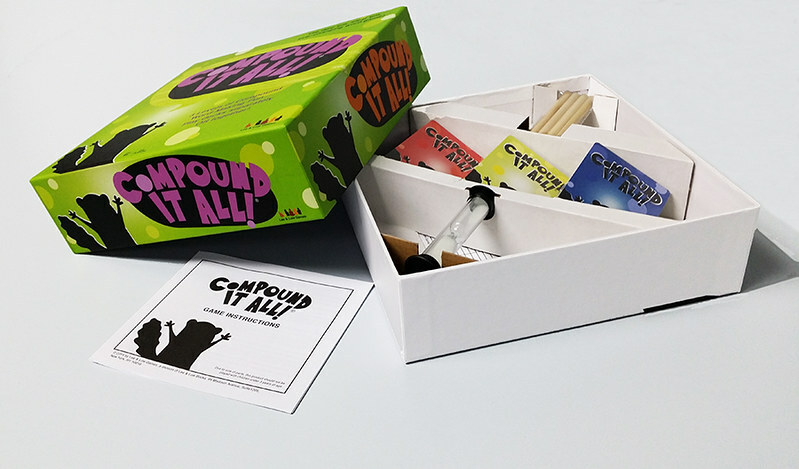 On Saturday December 13, from 1 PM until 3 PM, there will be an Open Game Day in the Metuchen Public Library (480 Middlesex Avenue) to experience a fun, new strategy game of words—COMPOUND IT ALL! You can even meet the creators of the game, Kim and Danny Adlerman of Metuchen! 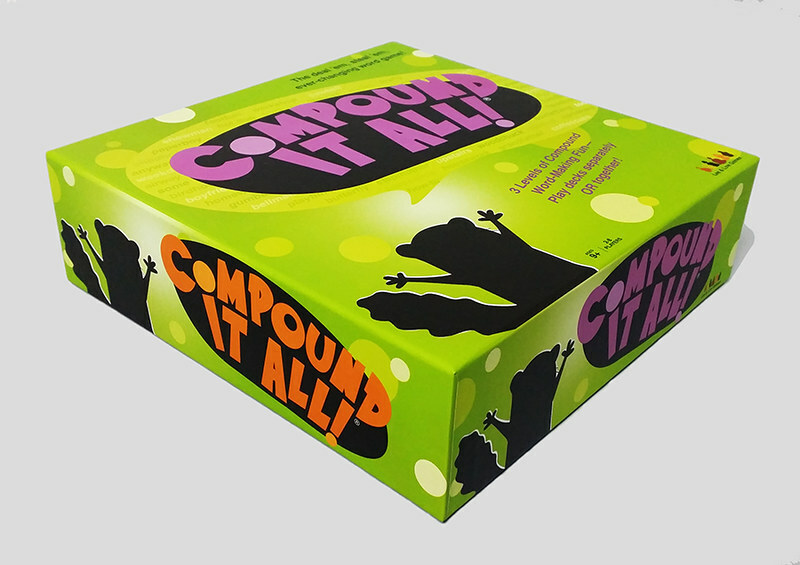 COMPOUND IT ALL! is simple to learn, difficult to master! 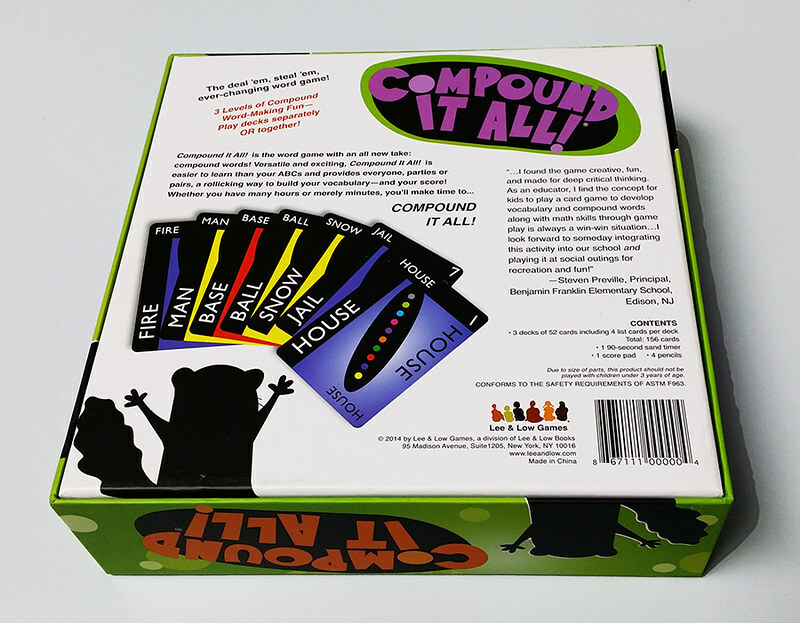 It’s a compound word building game that will expand your vocabulary, your critical thinking skills, and even your math skills. There are 3 challenging levels of play. For more information, write KLiss@Lmxac.org. Stop by the Library to play the game! No purchase necessary, but games will be available for purchase. Expands to nine decks of varied difficulty levels, which can be used individually or in any combination. Kim and Danny Adlerman – Authorare a husband and wife author/illustrator/musician team. They hold degrees from, respectively, Boston University and the University of Buffalo. They are also publishing consultants, and have written and/or co-written several picture books for children. They live in Metuchen, New Jersey, with their children.